A survey of more than 10,000 senior business decision makers showed that La-Z-Boy, Chiquita Brands International and Ruby Tuesday are highly recognizable brands, but have low market value. 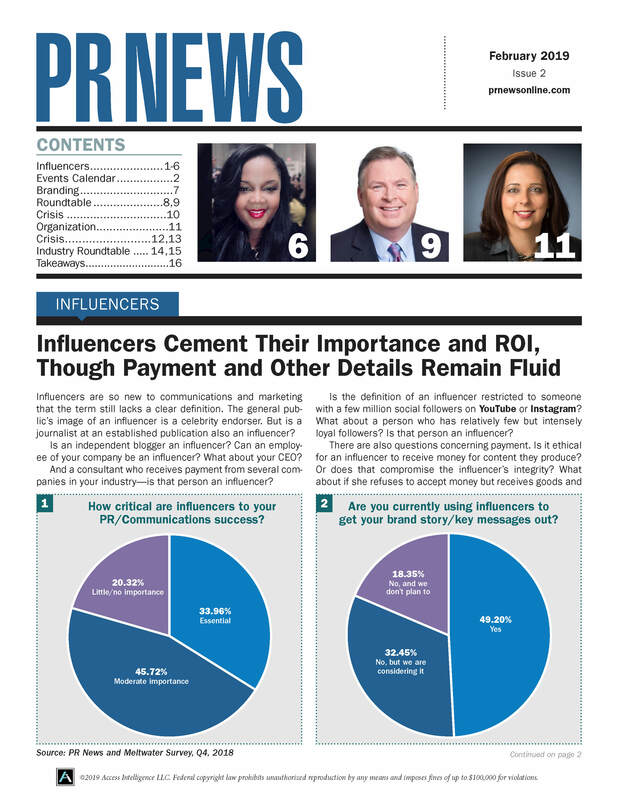 In advance of PR News’ April 18 Measurement Conference in Washington, D.C., PRIME Research’s Mark Weiner shares insight into how to prove the value of PR to the C-suite. Measurement expert Angela Jeffrey helps you clear a pathway through the maze of monitoring companies. Facebook’s Timeline is an opt-in feature for brands—until March 30, when all profile pages make the switchover. Communicators have little time to waste in preparation, says Buddy Media’s chief client officer. In advance of PR News’ April 18 PR Measurement Conference, GE Energy’s Jason Forget shares tips on how to establish a PR measurement program that ties into organizational goals. Apple beat out other major brands including Google, Amazon and Kraft in securing the highest reputation score in the Harris Interactive study’s history. The director of social media for CRT/tanaka and speaker at PR News’ April 18 PR Measurement Conference says all PR pros need to constantly ask themselves this question: "What defines success for my company from a PR standpoint?" A study shows that a majority communications pros aren’t enabling their newsletters for social sharing, nor are they following up with customers for further engagement.